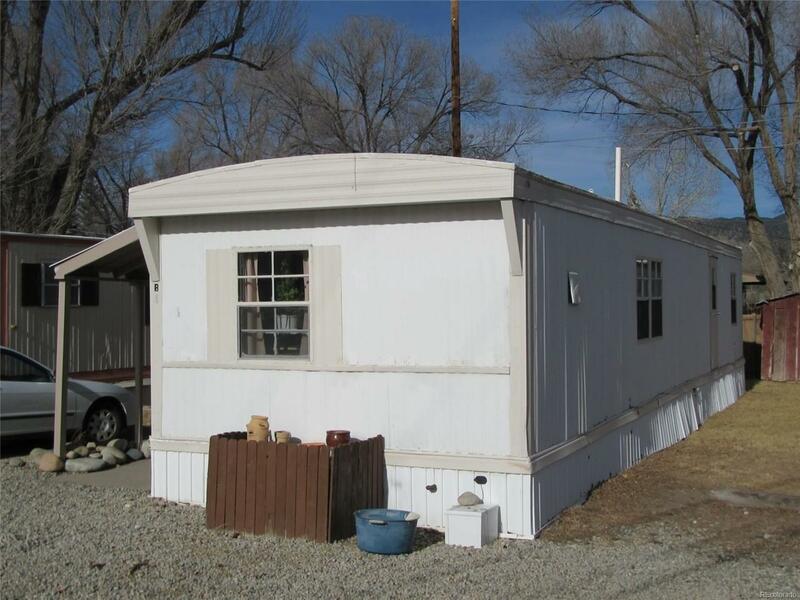 Nice Mobile home located in Grand View Park near Downtown Salida Colorado. Grand View Park is well maintained and friendly. The Mobile Home is located within walking distance of the Arkansas River, Safeway and Salida's many bars, restaurants and art galleries. It is 25 minutes from Monarch Ski Area. The Mobile Home has a new Refrigerator, 2 year old furnace and the roof was resealed in 2016. All the Mobile Homes in Grand View are owner occupied. Offered by Keller Williams Performance Realty.